Stefan must be a fan of the good ol’ western movies and the amigos. What you see here is the design of a Bald Eagle, which also happens to be one of the American symbols. The use of ochre on the beaks lends to the authenticity of the design and the hawkish look in its eye is a grim indication of the hawkish mentality of the tattoo bearer. The design looks so real that Stefan would have a problem shooing away potential eagle suitors from the avian world. 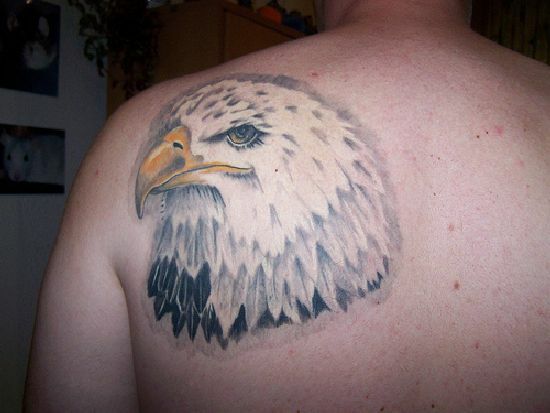 If body art and the wild west never cease to amaze you, you must probably consider getting yourself a Bald Eagle tattoo.